12 x 12 inches, 83 black -and-white laser scanned Fultone plates printed by Gardner Lithograph on premium-quality heavyweight paper. 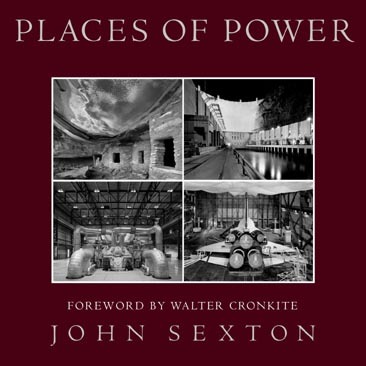 With the recent passing of legendary broadcast journalist Walter Cronkite John thought it might be of interest to visitors to this web site to read Mr. Cronkite's foreword, which he contributed to John's book Places of Power. John was most honored and humbled to have Mr. Cronkite contribute his essay, A Journey Through Time, as one of the introductory texts to his book. The foreword is included in its entirety here. Please visit the Kodak Professional/Photo District News Legends Online web site featuring John Sexton. Here you can see many of John's images, and watch him commenting about them with streaming video clips. Download: Order Form pdf file.